Today, straightening your teeth is as simple as wearing a dental appliance that resembles a mouthguard. Why contend with wires and brackets when Dr. Levenson creates unforgettable smiles with plastic aligners in Worcester MA? Made from smooth, BPA-free plastic, Invisalign trays are customized to your mouth. When worn as advised, teeth incrementally shift into proper position. Unlike braces or alternatives to traditional orthodontics such as Six Month Smiles, trays are removed during meals and for cleaning. This allows comfortable eating and effective brushing and flossing. Every couple of weeks you’ll replace the tray with the next aligner in the series. Each tray corresponds with a different step in your treatment. 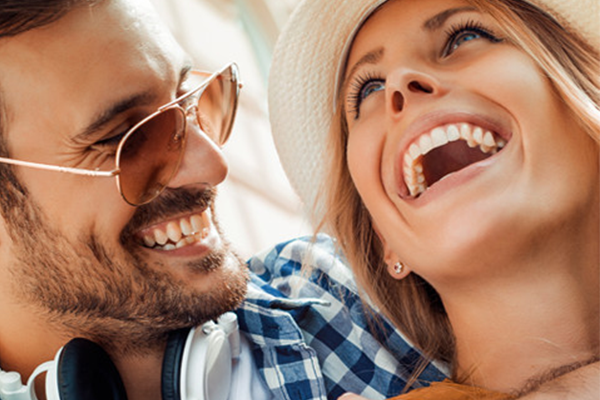 One of the best parts about Invisalign treatment is that the aligners aren’t noticeable. Since the plastic used to make the trays is clear, all workmates or friends will notice is your smile. You’ll visit Levenson Smile about every four to six weeks, so the doctor can check that treatment is progressing on schedule. You’ll clean the aligners as directed. It’s important to brush well before placing the trays back in your mouth, because foods like blueberries or tomato sauce can stain the transparent plastic. Resist the urge to use hot water when cleaning, because it warps the plastic. 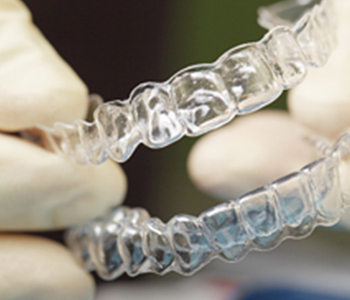 Cracked or otherwise damaged aligners are no longer effective. They can’t place the pressure needed to appropriately move your teeth. You’ll need to replace that tray ASAP. The doctor will discuss a retainer that helps to maintain the beautiful results from Invisalign treatment. Call 855-849-8255 to schedule your consultation.